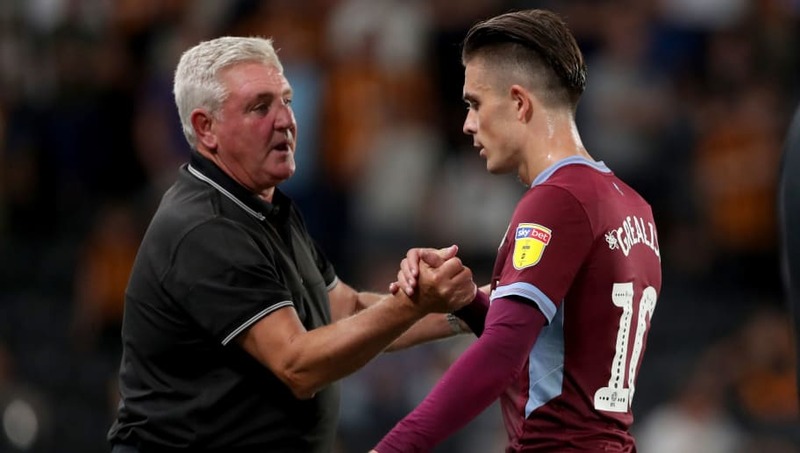 ​Steve Bruce has urged Jack Grealish to put his ​Tottenham heartache behind him and instead propel ​Aston Villa to the Premier League. The 22-year-old was one of the most in demand ​Championship stars throughout the summer and had his heart set on joining Spurs to play in both the Premier and Champions League. However, Villa's ​new owners Wes Edens and Nassef Sawiris refused to entertain any offer and thus eliminated any hope Grealish may have held of leaving during Dr Tony Xia's ownership, when the club admitted all players were for sale. Despite harbouring hopes of a transfer Grealish continued to train and make himself available for selection, and he is set to play his second game of the season when Villa face Wigan on Saturday - the first game since the domestic window closed. “I understand his disappointment of not playing in the big league, as Spurs are a huge club not just in England but Europe, playing in the ­Champions League," Bruce said, via the ​Mirror. "But he has taken the decision from the owner, and he will hopefully take us where we want to get to and then fulfil all his ambitions with ourselves. “The new owner made it clear whatever Spurs offered he wasn’t going to listen to — there was no price. He didn’t want to lose his star player, he wants to build the team around him and other clubs have to respect that too. “Jack has been terrific and hugely respectful to the club which he and his family know well and support. He has been here since he was six years old and is only 22. Villa now hope to tie Grealish to a new deal which is expected to see his weekly earnings of £20,000 a week double to nearly £50,000.